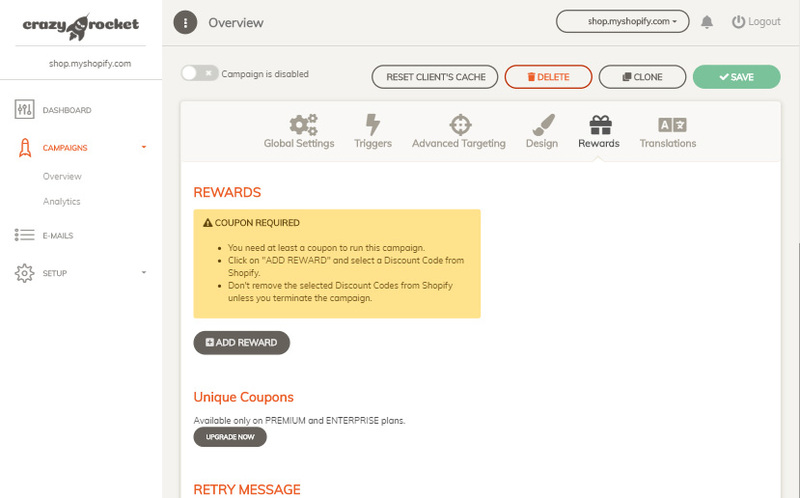 Create your first CrazyRocket campaign. Let's create your first campaign. 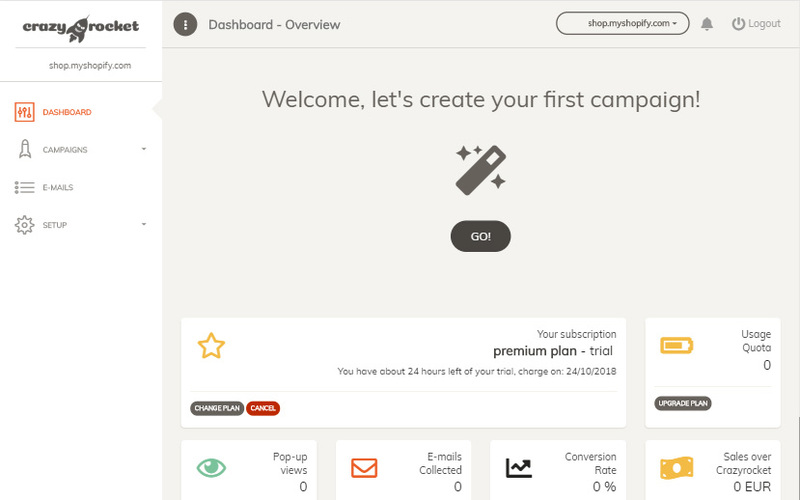 From the Dashboard, click on "Campaigns" on the left or the "GO!" button on the welcome screen. 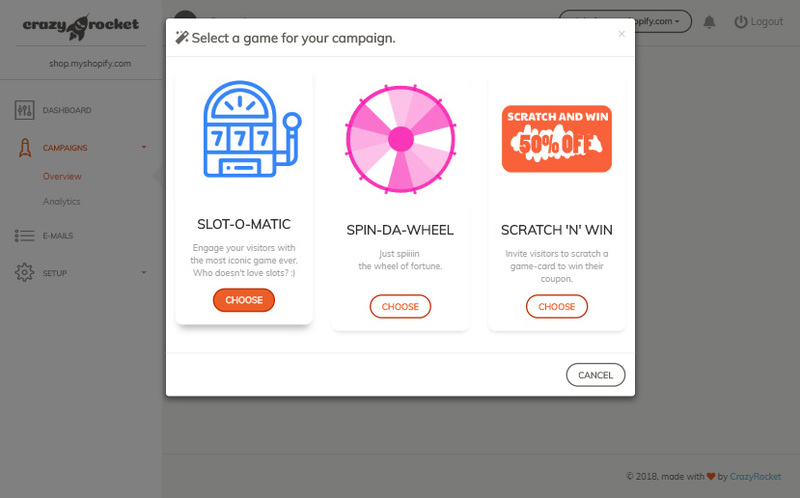 Let's choose the SLOT game for the campaign. It requires a single coupon, so it's easier to get started! 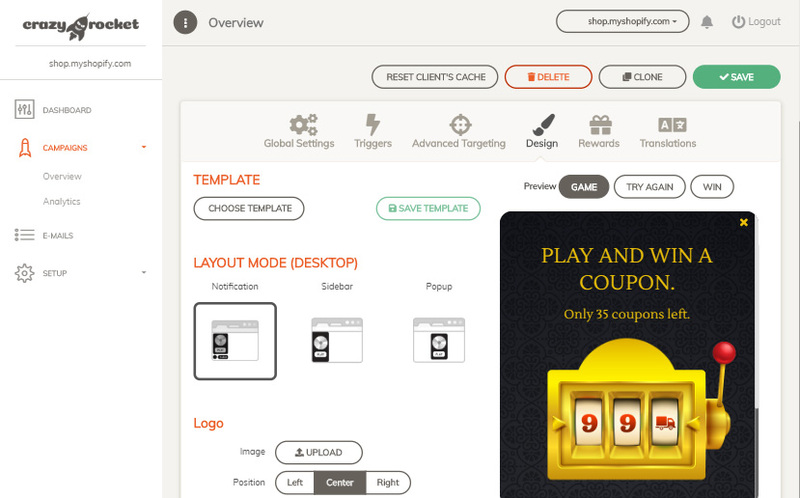 CrazyRocket provides various templates for each game. 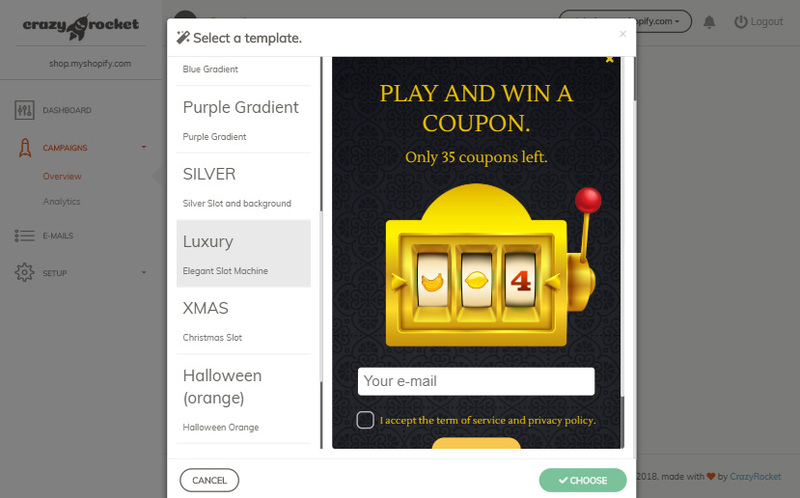 The templating system is very flexible: you can edit, store variations, and also switch templates. We are constantly working to improve and add new designs. Take time to get familiar with the settings and change the header, disclaimer or required fields as desired. Campaigns require at least a coupon to be published. 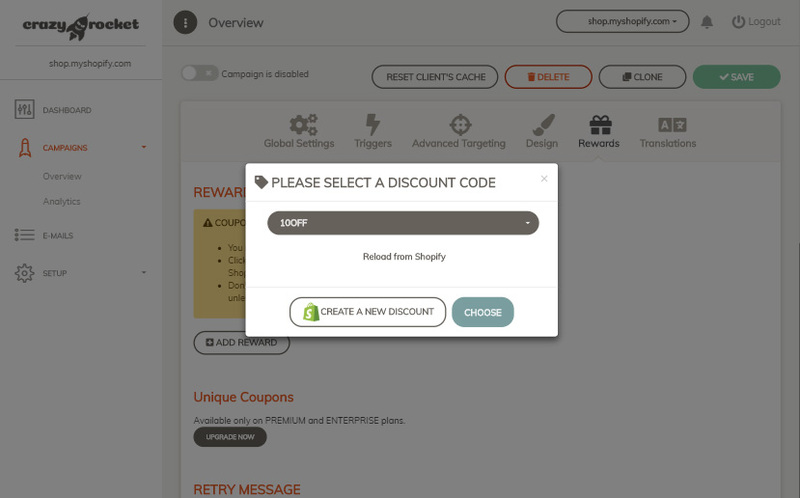 You can choose a coupon from the list or create a new one if needed. 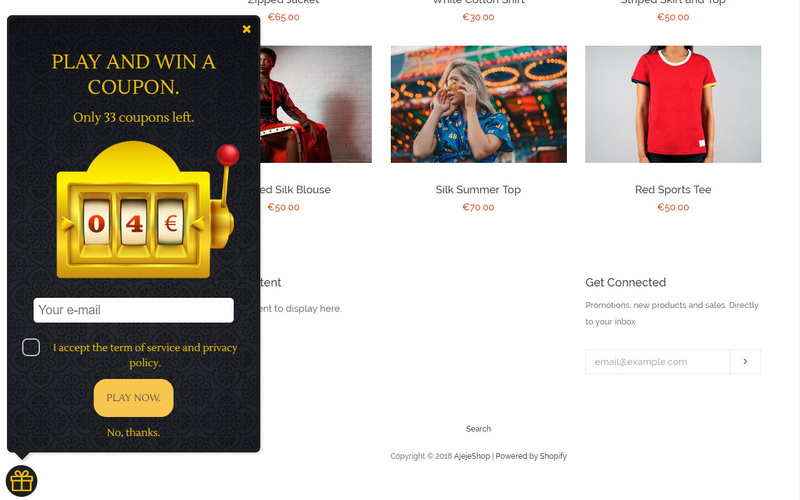 In such case, please click on "Reload from Shopify/WooCommerce" once you complete the creation on your store admin. The selected coupon appears on the list. 6) Save and Enable the campaign. Almost done! Click on the green "SAVE" button to save the campaign. 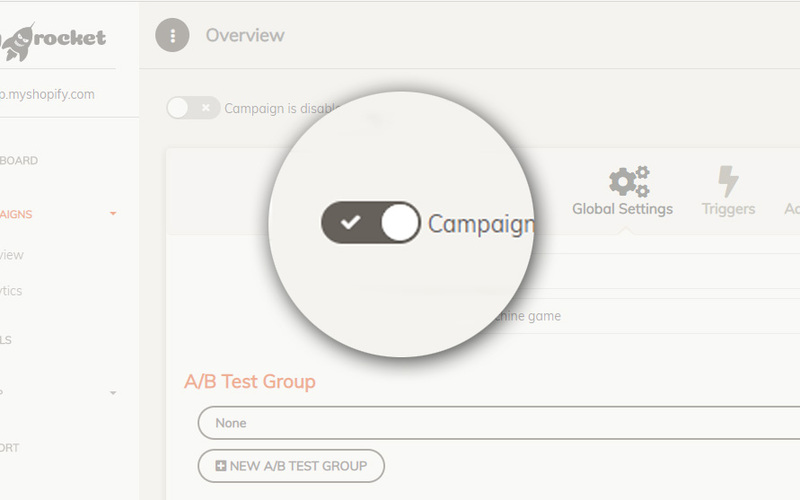 Newly created campaigns are not enabled by default, so click on the enable switch to show it. Open your website and navigate, scroll or move the mouse out of the browser tab to trigger the campaign. Congratulations! You created your first campaign.